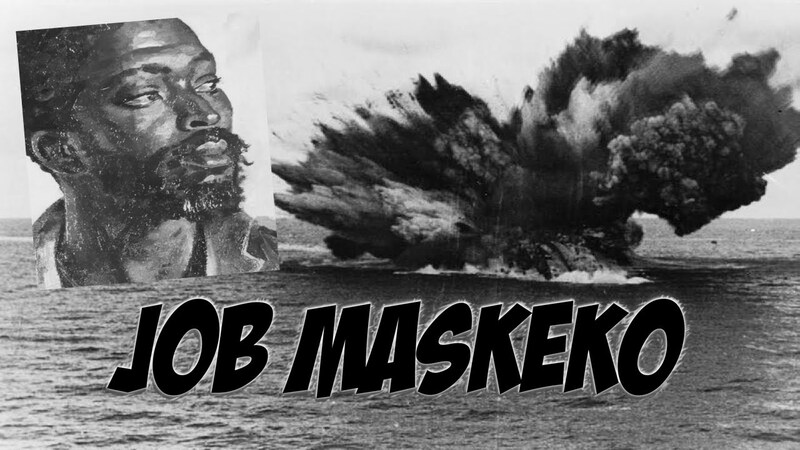 The incredible true tale of Job Maseko – The man who sunk a ship whilst a prisoner. As today is Remembrance Sunday, I thought I would share a short account of someone who is rarely spoken of outside his homeland but whom I have been a fan of for many years. For most people when they are taken prisoner, their war is pretty much at the end, which is often a good thing I guess depending on how keen one is to escape. Job Maseko was a black South African man who quit his job as a delivery man to volunteer for the Native Military Corps in South Africa. As a black man in 1940’s South Africa, he had to deal with inequality in pay, conditions and continual racial taunting from his supposed colleagues in the South African army but his willpower and bloody-mindedness even earned him the respect of his Sergeant. Job Maesko who sank a German warship whilst a prisoner in Tobruk. After completing his basic training he was sent, like many others, to the deserts of North Africa joining Monty in the ongoing efforts to combat that almost unique species of Nazi Germany, an honourable and respected soldier by the name of Field Marshall Erwin Rommel. Of course it helped that Rommel wasn’t much of a Nazi. Job worked as a stretcher bearer, doing profoundly dangerous work, rescuing wounded men in the desert but as a desperate defence was fought at Tobruk, Job and other black colleagues were given rifles and expected to fight on the front line with everyone else despite a lack of ammunition. When Job was sent to request more ammunition, it wasn’t very forthcoming due to the racist attitudes of the officer he was addressing and by the time Job returned with his ammo, it was too late. Regardless what he thought of Nazism, Rommel was a proud German and it was he who took the surrender of 32,000 mostly British and South African soldiers on 21st June 1942 in Tobruk. That might have been that for most people, let alone a native South African who was fighting for a distant King and a country which didn’t particularly deserve his loyalty. Job and many others were forced to march across the desert to an Italian POW camp. It’s Commandant a Major Schroeder has a great dislike for all Allied prisoners but especially black ones and the Italian guards revel in taunting them. Schroeder committed various war-crimes and severely punished anyone caught trying to escape but Job decided to do just that. However just prior to his escape, the camp was visited by Rommel. Rommel had already had a showdown with the Commandant and incredibly chose to talk to Job about the conditions and treatment of prisoners in the camp. A lesser man would have kept quiet but Job told Rommel exactly how bad things were which earned Schroeder a severe public reprimand and seeking vengeance, Schroeder sent Job to The Hole where he was tortured and for a while Job appears to have been tortured into some sort of vegetative state. However it is all an elaborate scheme. As with his Biblical namesake, Job was made of tough stuff and with the help of some comrades whilst on mundane prisoner duties to go down to the docks, Job created a bomb using a milk tin, some cordite and an extremely long fuse. Job placed his home-made bomb deep inside the bowels of a German freight ship that was docked in the harbour at Tobruk. Having made good his escape, Job waited and a few hours later, the ship shuddered from a huge internal explosion and sank almost immediately. Shortly afterwards the British liberate Tobruk and their Generals are ecstatic of the verified story of the Zulu who blew up a German warship whilst being a prisoner and nominated for a Victoria Cross, a first for any black soldier. However his immediate South African commanders find the idea horrifying and even pressure the British to dig up the war-dead so that white and black South Africans are buried separately and Job is given this awful assignment. Soon, Job is notified that though many would like to see him awarded the Victoria Cross, the South African High Command would prefer him to receive “only” the Military Medal. For meritorious and courageous action in that on or about the 21st July, while a Prisoner of War, he, Job Masego, sank a fully laden enemy steamer – probably an “F” boat – while moored in Tobruk Harbour. This he did by placing a small tin filled with gunpowder in among drums of petrol in the hold, leading a fuse therefrom to the hatch and lighting the fuse upon closing the hatch. In carrying out this deliberately planned action, Job Masego displayed ingenuity, determination and complete disregard of personal safety from punishment by the enemy or from the ensuing explosion which set the vessel alight. 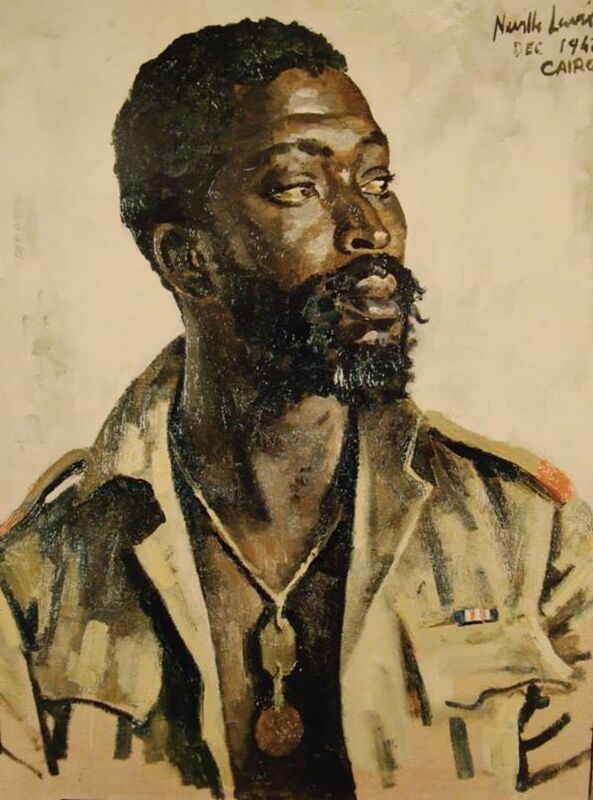 It is said that all Job really wanted was the respect owed to him for being a man, regardless of his colour and when he finally left Tobruk, he was waved off by both white and black soldiers however his life after the war was not going to benefit in any way from his heroics. Sadly after the war like many others, black and white, Job and his heroics cut little slack back in the world of civilian life and when he was struck and killed by a train in 1952, he was so poor that his funeral was paid for my borrowed and donated funds which is a tragic course of events for such a brave man. The famous tree in Deville Wood. Soldiers called it Devils Wood as so many died here. In fact, the entire wood was destroyed and this tree was the sole survivor. The last 100 years it has been a place of pilgrimage, people used to tie ribbons and flowers to it. 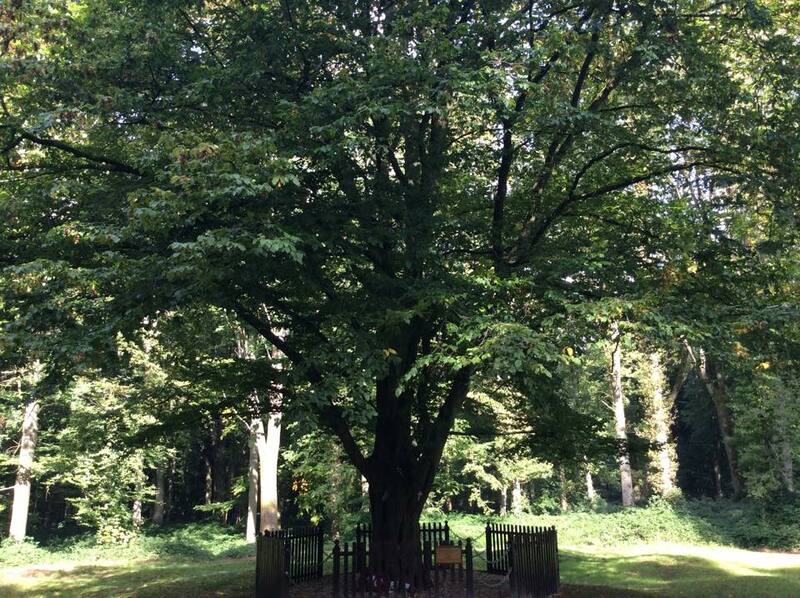 These days this very special tree is fenced off but understandably so. More happily, these days Job has gained a little recognition in South Africa with a primary school, road and a class of naval vessel named after him. For those of you like me who live far away from South Africa, you might come across his marvellous story at the South African Memorial at Devilles Wood in The Somme, one of the most interesting and beautiful memorials to Commonwealth nations on the Western Front. If you’re interested in WW1 then why not look at my history book which was recently published in paperback and Kindle formats by Endeavour Press. It details the history and events of all the countries which took part in WW1 as well as related issues such as social changes, women and the war and technology. You can order Lest We Forget: A Concise Companion to the First World War from Amazon.com in Kindle for $4.58and paperback for $9.99 and Amazon.co.uk in Kindle for £2.99 and paperback for £6.99 and other Amazons around the world. I am also happy to write a dedication to anyone who wants one, just let me know, though I’d have to charge shipping fee for that. Please, do leave a review if you buy a copy. They are like gold dust to independent authors. If you’d like to see more imagery of the Western Front then why not look at my new photo book In The Footsteps of Heroes available on Kindle and Paperback. In The Footsteps of Heroes can be purchased from Amazon.com and Amazon.co.uk in Kindle and Paperback. My books are also available direct from their respective publishers and also through Barnes and Noble, Kobo, Smashwords and Createspace. You can also purchase this book through Apple iBooks store by clicking on the logo below. This entry was posted in history, WW1, WW2 and tagged Armistice, history, In The Footsteps of Heroes, Job Maseko, Lest We Forget, Life, Military, Remembrance, South Africa, The Somme, war, WW1, Zulu. Bookmark the permalink. 1 Response to The incredible true tale of Job Maseko – The man who sunk a ship whilst a prisoner.